On August 17, SLCR held a potluck at Franklin Elementary school as our annual Fall Retreat. Faculty, staff, returning graduate students, and new interns enjoyed each other’s company over three eight foot tables set up with delicious food and refreshments. There were 16 faculty, 2 staff members, and one intern. In total, 32 people attended from the school. Bilingual students and their families were welcomed to campus last spring for a bilingual orientation providing information about WSU faculty, staff, and resources as well as academic programs offered. Spanish Instructor Maria Eugenia Sileoni, Spanish Instructor Sonia Lopez-Lopez, and French Instructor Jacob Barrows met with the students and their families to explain the extensive resources and programs SLCR offers. 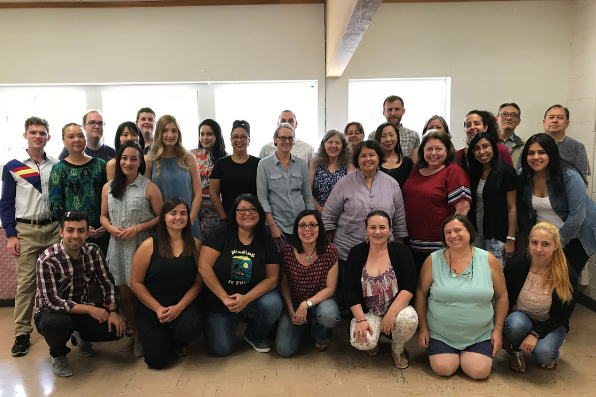 At the beginning of August, SLCR hosted a welcome breakfast for the new Hispanic Studies teaching assistants to orient themselves with the faculty and staff. 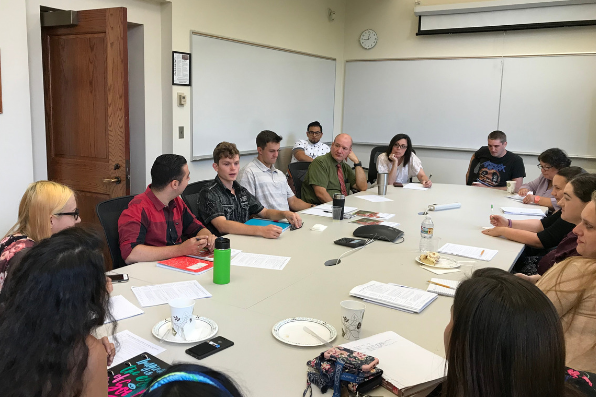 Over fresh fruit, pastries, coffee, and juice, the new SLCR members were welcomed to the campus and discussed the various resources the school offers to graduate students. 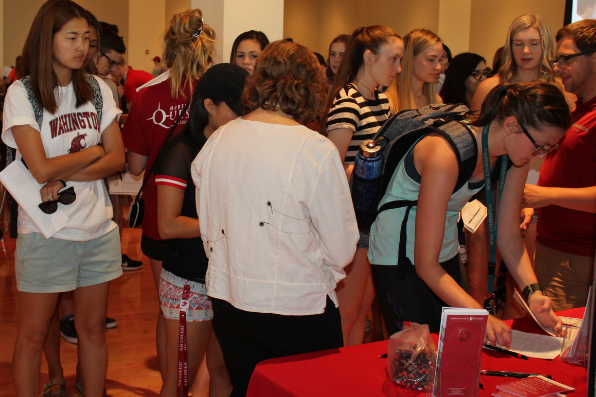 During WSU Week of Welcome 2018, numerous SLCR faculty, staff, and students engaged with prospective students to discuss how they can be involved in our school. Students shuffled from table to table to discover academic programs and organizations that they may be interested in. SLCR showcased a slideshow to illustrate the many programs and resources available to students. 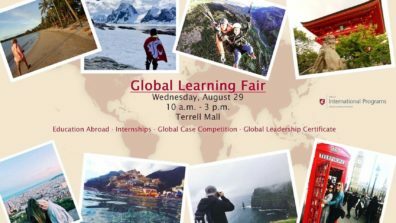 On August 29, Clinical Assistant Professor Insook Webber, German Instructor Karen Jennings, and Associate Professor Ana Maria Rodriguez-Vivaldi tabled at the Global Learning Fair to present our faculty-led study abroad opportunities. Our four opportunities include: Guatemala spring break trip, Paris summer abroad trip, Berlin summer abroad trip, and Austria/Berlin summer abroad trip. On Sept. 20, we tabled at the 3rd Annual Meet your Major Fair in the CUB Junior Ballroom to display the 25 academic degree programs we offer to students. Last fall, more than 150 students attended the fair to discover new majors. Our programs include our major and minor programs for undergraduate students, and masters and doctoral programs for graduate students. Alongside our school’s table, there were majors and minors from other schools represented for students to take into account. 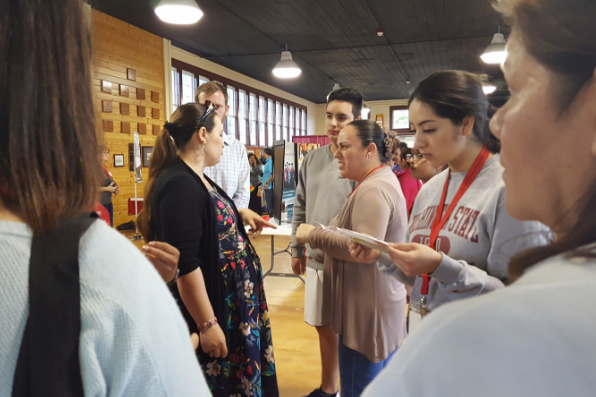 On Sept. 19, our two interns and Dr. Ana Maria Rodriguez-Vivaldi, associate professor of Spanish and Film Studies, represented our school’s table during the Latinx Heritage Month Kick-off. As students ate rice, beans, and burritos on the Terrell Plaza, they also connected with other Latino and Latina organizations. 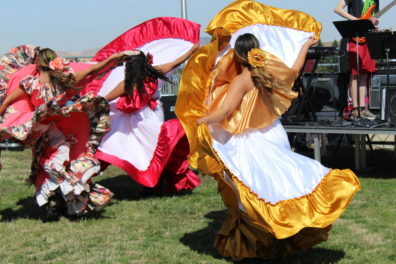 Throughout the event, several organizations performed traditional Mexican dance, Zumba dance, and soccer, and a live band performed Latin jazz and blues.